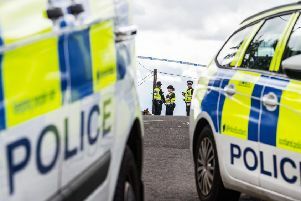 Four deliberate fires that were started in Bo’ness yesterday are being investigated by police. Fire officers were called after hedges and trees were found to be ablaze and a skip was sent on fire on Monday, October 19 between 12am and 2am. Given the number and proximity of these fires, police say the incidents may be linked and are appealing for information from the public. Inspector Christopher Stewart said: “These fires were deliberate, have caused considerable damage in the local area and could have had a much more serious outcome. “They also put a considerable strain on Scottish Fire and Rescue Service resources and could have hindered other operational needs. The skip was set alight in Liddle Drive and trees and hedges were found burning at addresses in Hillcrest, Blair Avenue and Douglas Drive. Anyone with information should contact Police Scotland on 101 or anonymously through Crimestoppers on 0800 555 111.